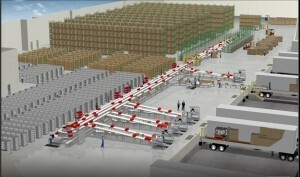 Warehouse simulation is a process that can yield great dividends in a short period of time. Warehouses are an inevitable requirement for many businesses, but proper warehouse layout design is all too often overlooked. Any business that finds itself in need of a full-scale warehouse must also factor in the tasks of organization, reorganization and tracking. Warehouses have become ever more important in these days of increased online purchasing.When people buy items online, they often want their items as soon as possible. The faster an item can ship, the happier a given customer will be. Of course, such shipping speed is attained only when one can find particular items very quickly. This is where our warehouse layout software comes in. 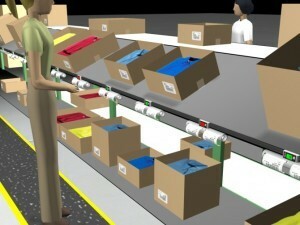 Warehouse simulation software on a computer can lead to a lot more speed on the floor of a given warehouse. Even when items are well organized, it is not easy to know how best to distribute personnel to ensure optimal item recovery. Shipping stations can also be refined to allow for greater ease of use. Warehouse design software to run warehouse simulations can provide a lot of insight into the workings of the inside of a factory. Of course, there is much more to the process of running a warehouse than getting items in order. You’ll learn this warehouse layout design software quickly, thanks to Outsource Equipment Company’s commitment to excellent customer support. Please feel free to contact us with any questions you have about the simulation software, warehouse layout design, process or our products.